Sitting high above the town of Avon, Wildridge commands spectacular views of Beaver Creek and Bachelor Gulch, Arrowhead and the Sawatch Mountain Range. Wildridge offers a variety of residences including town homes, duplexes and single family home. 4281 Wildridge Road is a 4 bedroom, 3 bath, 3,645 square foot single family log home situated on nearly an acre lot in Wildridge; offering a main floor master, fabulous southern views from the wrap around deck and great room. The yard is ideal for kids and has an adjacent fenced yard. Situated high above Avon, The Courtyard Villas of Wildridge are a spectacular luxury duplex development that offer a uniquely private and peaceful setting.? These?private "villas"? boast the most amazing views and finishes both inside and out.? The interior features of these spacious 4 bedroom homes include dual master suites, white oak flooring, 10' glass pocket doors in the living room, EcoSmart Fireplace, optional wine cellar, media room and office.? Vail Real Estate: Spectacular Views in Wildridge! Sitting high above Avon, Wildridge commands spectacular views of Beaver Creek and Bachelor Gulch.? Wildridge is nestled against BLM land and offers incredible trails for hiking, biking and 4-wheeling across the?Red and White Mountain that travels to the stunning Piney Lake. Read more about Vail Real Estate: Spectacular Views in Wildridge! Lovely two bedroom, two bath condominium in the heart of Avon. With a one car garage, open living area with a gas fireplace, and a spacious deck with views to Bachelor Gulch, this home is great for the local buyer or as a rental property. Walk to many of Avon?s amenities including Starbucks just next door and a ski lift just down the street. Wildridge offers huge views of the Beaver Creek, Bachelor Gulch and Arrowhead! Wildridge is located high above the commercial center of Avon, ?which offers fabulous views of Beaver Creek, Bachelor Gulch and Arrowhead, lots of sunshine and beautiful starry nights.? There is great access to the White River National Forest which surrounds the area.? Currently, there?is a wide variety of townhomes, duplexes and single family homes on the market.? On a open house tour last week,?I was quite?impressed with a home?that recently came on the market,? located at 2901 June Creek Trail.? ?It's a?four bedroom, three and half bath residence with an office and game room. 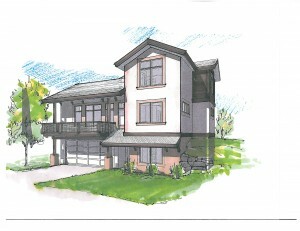 ?This home has high end finishes and unobstructed views of the mountains.? It has a spacious?open floor plan with?cathedral ceilings, large windows with lots of natural light, slab granite countertops and large decks with privacy.? Being offered at $999,000. Read more about Wildridge offers huge views of the Beaver Creek, Bachelor Gulch and Arrowhead! Within the Vail Valley, few neighborhoods have the variety of properties with such commanding views like Wildridge does.? Located north of Avon and across from Beaver Creek, Wildridge faces south getting great sunshine all day long with magnificent views?above Beaver Creek to?the Sawatch range. High above the commercial center of Avon is?the residential neighborhood of Wildridge. A unique community of condominiums, townhomes, duplexes and single-family homes.? Wildridge enjoys spectacular views of Beaver Creek, Bachelor Gulch and Arrowhead and the surrounding mountains.? Wildridge offers access to the surrounding White River National Forest, and it's only 10 minutes to Beaver Creek and 15 minutes to Vail.? Wildridge is the perfect place for both year round residences and summer or winter vacation homes.? For information on what homes are available in the Wildridge area please call:? Betsy Randall at (970) 401-3011 or you may email:? betsy@gatewayland.com. Read more about Big Views, Buy Wildridge!